President Muhammadu Buhari has directed the Ministry of Finance to immediately release the sum of N22.68 billion for the payment severance package of former workers of the defunct Nigeria Airways Limited. This is 50 percent of the N45 billion earlier approved by the Federal Executive Council (FEC) on September 20, 2017 for the pensioners. Minister of Finance, Mrs Zainab Ahmed, in a statement issued on Monday, September 24, 2018, disclosed that the President also approved the release of N20 billion requested by the Academic Staff Union of Universities (ASUU) for the revitalization fund of public universities. Business Post reports that the sum of N7 billion was initially proposed for the settlement of outstanding retirement benefits due to former workers of the Nigeria Airways. But when the Presidential Initiative on Continuous Audit (PICA) looked into the request alongside other relevant stakeholders, the amount was cut down to N45 billion. About a year ago, the money was approved, but the former Minister of Finance, Mrs Kemi Adeosun, did not release the money to the beneficiaries. 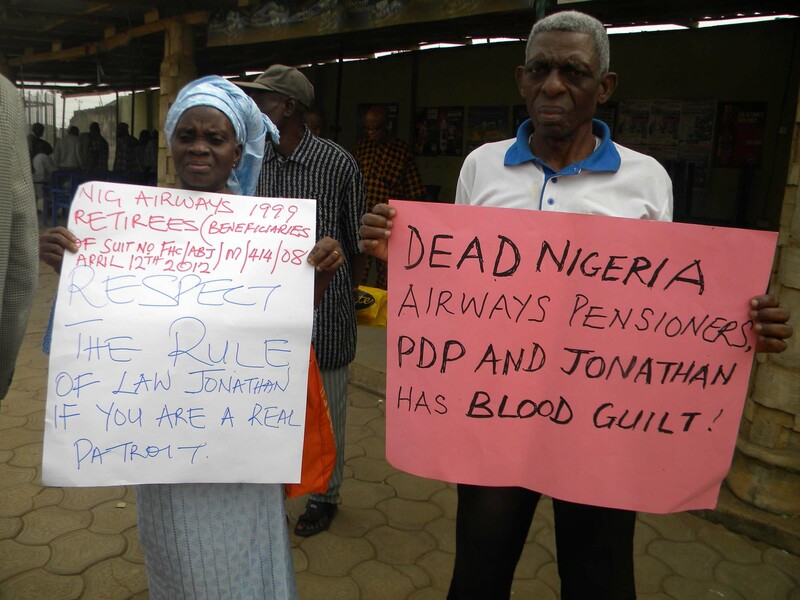 When Mrs Ahmed took over from Mrs Adeosun last week, she promised to look into the plight of the pensioners. In a statement today, the Minister said, “As you might be aware, the Ex-workers of Nigeria Airways Limited (in Liquidation) were not paid their retirement benefits for the past 15 years. Many ex-workers have been through untold hardship. This unfortunate situation cannot be allowed to continue under a responsible admin. “To ensure that these Presidential directives are duly implemented in line with extant Financial Rules, I have constituted a Committee to be headed by the Secretary of Presidential Initiative on Continuous Audit (PICA), Dr. MK Dikwa.